In effectivemanagementleadership.com we help in raising generation of men and women that will challenge the status quo of life and embrace their leadership responsibility as we teach, encourage and inspire through our materials, videos and post, so that they will fulfill their dreams. Therefore it's essential we get your feedback on how this material has been of help to you, areas you were not clear and topics you will like us to expand on. This will help us serve you better. Your support is greatly appreciated. Please contact us anytime you have questions on leadership or just need some leadership advice. If you've got anything on your mind regarding any one of our pages, a general question that you’d like to ask, feedback you’d like to give, or, if you just want to say “Hello”, you can use the form below, you can visit us on our Facebook page. Thanks for visiting effectivemenagementleadership.com. 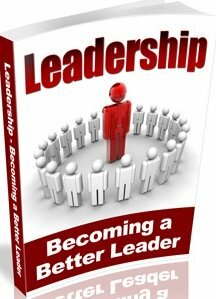 We’re doing our best to provide you with the best, practical, up to date and easy to read materials on leadership. Your feedback will be gratefully received and we’ll do our best to reply promptly! !